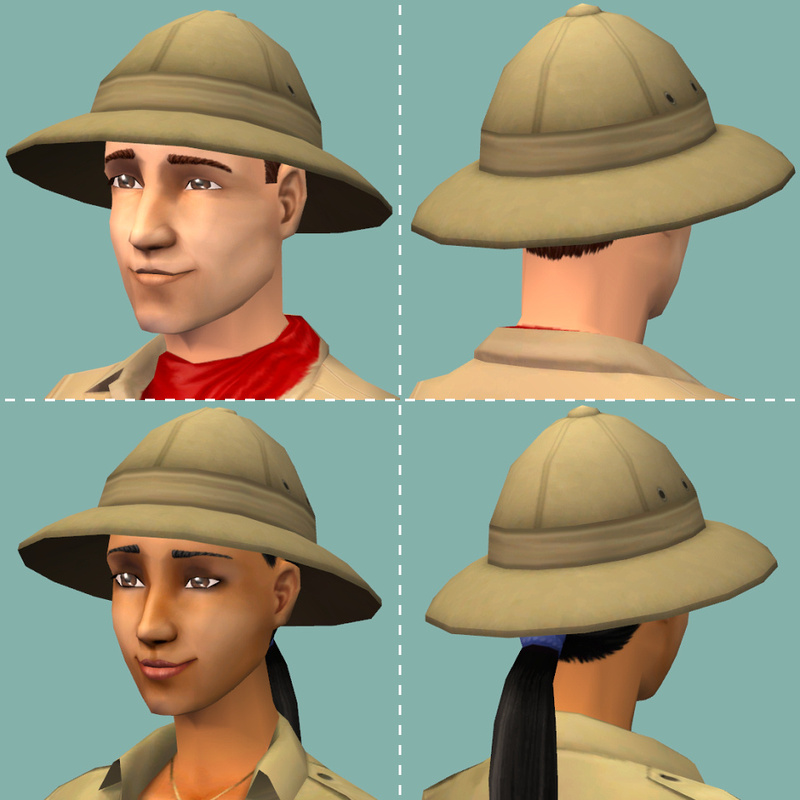 This mod make the safari hat worn by Sims at the 5th level of the adventurer career (introduced in Seasons) visible in CaS and Bodyshop. Originally, the hat is not available even in CaS with debugging mode on, contrary to all other "special hairs". If you put this file in the Downloads folder, the delete button for this hat will be enabled in CaS and Bodyshop. Do not click it since it may corrupt your game files. I highly recommend to put this file in Bins folder instead, in order to disable the delete button. If you'll find you don't want to use this mod any longer, simply delete the package file.